inhale deeply through your nose and out through your mouth. Until Next Time… Keep Glowing! Definitely! I need to work on my patience. The rushed feeling of wanting to get “everything” done at once is very overwhelming so this is an awesome mantra! Thanks for sharing! Yes!! This mantra is perfect for keeping calm instead of feeling overwhelmed. Glad you found it helpful! Love this mantra! Reminds me of one of mine! Most definitely. I’m working on patience this year, so I’ll be using this often. Yes Queen! So good to see you on here doing your thing! I love the inspiration. I do something similar on my blog. Check it out if you have time! Also, mantras get me though the exercising, energizing and exhaling. Gotta love em, and use them too! 🙂I hope it inspires you. Patience is one of those virtues that mirrors Love so closely. We have to love ourselves before we can love others. 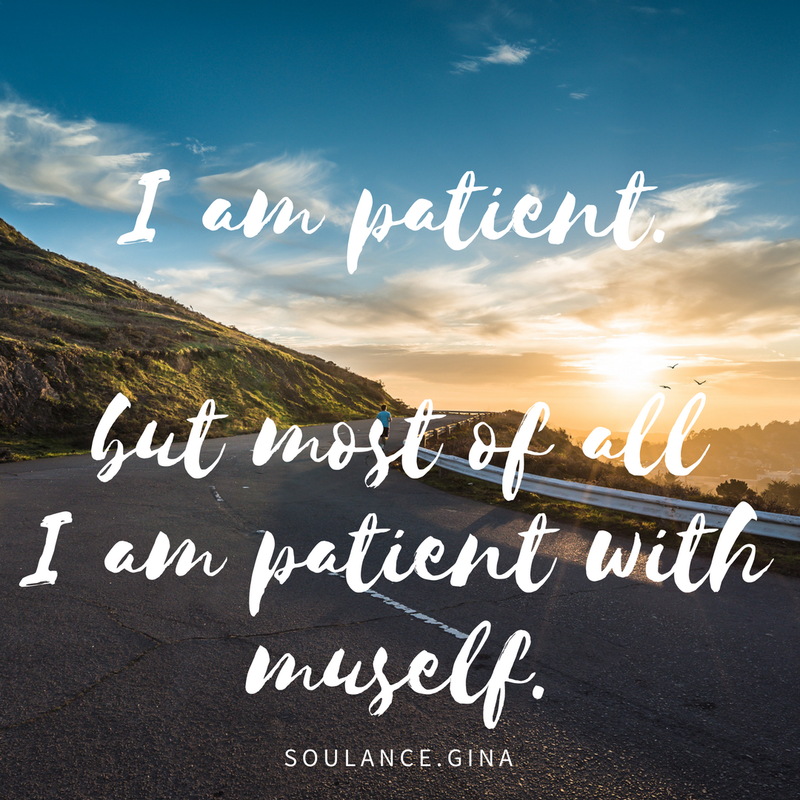 We MUST be patient with ourselves as we need to be patient with others. Thank you for this mantra. It is a great inspiration for health and personal growth.